Hello Shimmerz Fans! Yippee Spring has finally arrived in my part of the world…and that was one long Winter..YUCK! So today I have a layout to share that is bright and cheery and reminds me of Spring time. The background is layers of the collection papers with some dabs of Shimmerz Pink and Pearlz Blue By U. I have dabbed some gesso on the areas with a wet wipe after the paint was dry to soften the colors more and blend them in a bit. After I completed all my layers on the layout I tucked in some chippys that are finished with Vibez Before Dawn..the coverage is perfect on chippys. I then added some splats and drips with Shimmerz Pink and Magenta amd some Pearlz Blue By U. That is it…I love adding color to my creations with Shimmerz products. 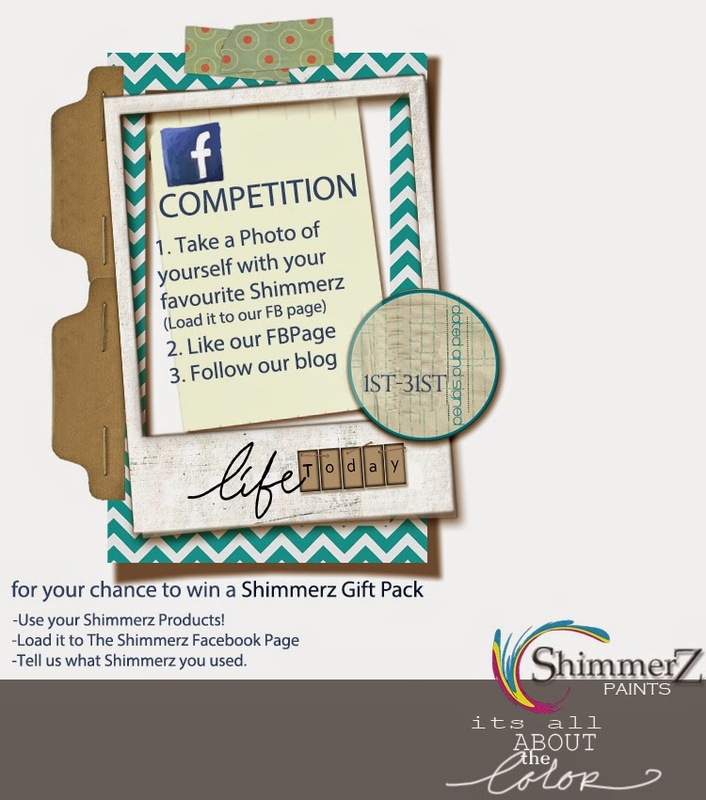 Don’t forget to come play along on our Facebook page for your chance to win some Shimmerz goodies to play with! It does not get any easier than this! On your next Shimmerz order, mention my name (or any Shimmerz Designer) (in the notes to merchant) and Stacey will send you a something FREE!!!! Swing on by our Facebook page for lots of inspiration. Take care and happy Scrapping!